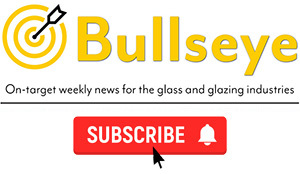 Home News The Screwfix of the glazing industry? 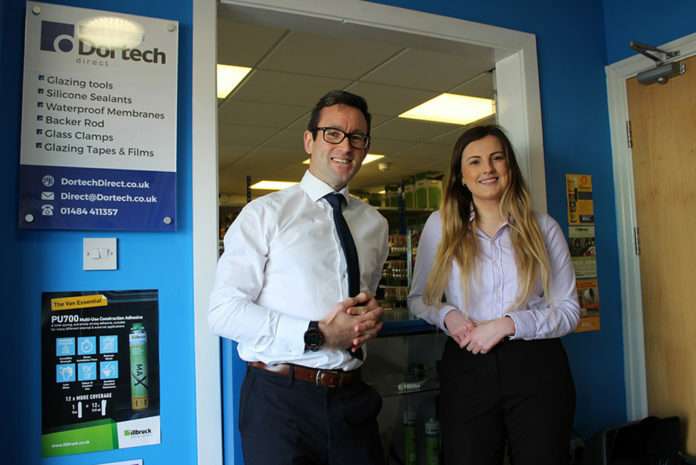 James Sutherland with Dortech’s marketing manager, Roxanne Stainburn. 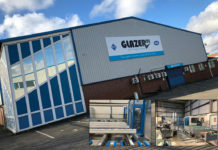 Glazing supplies specialist, Dortech Direct, has secured three new distributor agreements in a move which has prompted the launch of a dedicated trade counter in West Yorkshire. 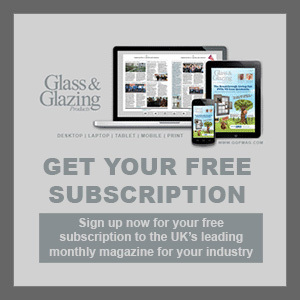 The online retail brand – part of the £9m Dortech architectural glazing and maintenance group – has sold building supplies via its ecommerce shop, since 2012. 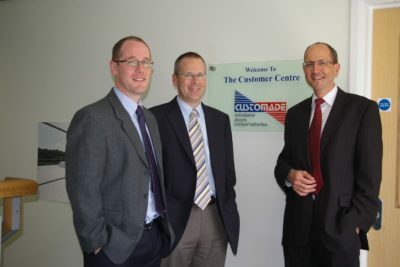 But having recently reconfigured the firm’s 24,000ft2 site, in a move that was designed to ‘break down departmental barriers, promote company-wide knowledge transfer and strengthen the company culture’, managing director James Sutherland was able to make way for an 8,000ft2 warehouse and customer-facing storefront too. Retailing more than 3,000 product lines in total, Dortech Direct is now the official northern distributor of fenestration products manufactured by Sika, including Sikasil WT-480 (window fabrication adhesives), SikaMembran (EPDM), SikaForce-335 GG (pourable, self-levelling balustrade adhesive), SikaForce-7720 (gun-grade, thixotropic adhesive for slope glazing) and Sika Activator-100 (adhesion promotor). Dortech says that agreements have also been signed to make it an exclusive reseller for Blu performance hardware to this particular industry sector in Midlands, Yorkshire, North West and Northern Counties, and a key distribution partner for Tremco illbruck. Located in the heart of Huddersfield and open to the trade and general public alike, the retail facility aims to attract people from along the M62 corridor. 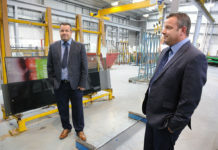 The company has revealed that if revenue targets are met – £2m in the next 12 months – the plan is to invest in two to three further depots in the next three years. Commenting on what has made the launch possible, James said: “We’ve always had a keen eye on business improvement, but the economic climate and market demand has encouraged us to look carefully at our group’s activities. 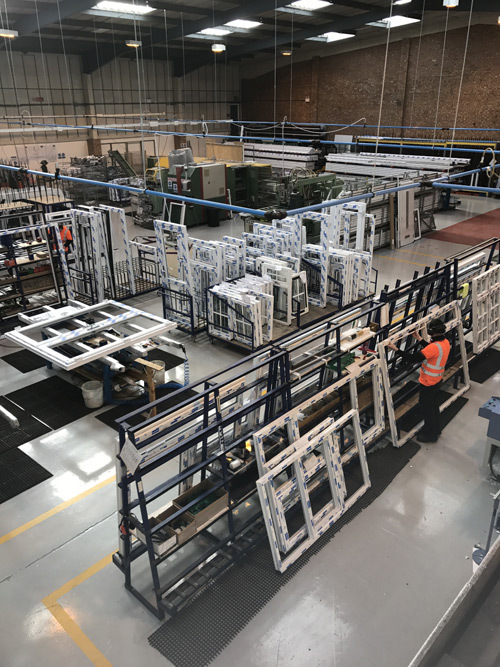 We’re keen to stabilise our architectural division, invest in maintenance as the success of that division is sky-rocketing, and plough further resources into Dortech Direct too.